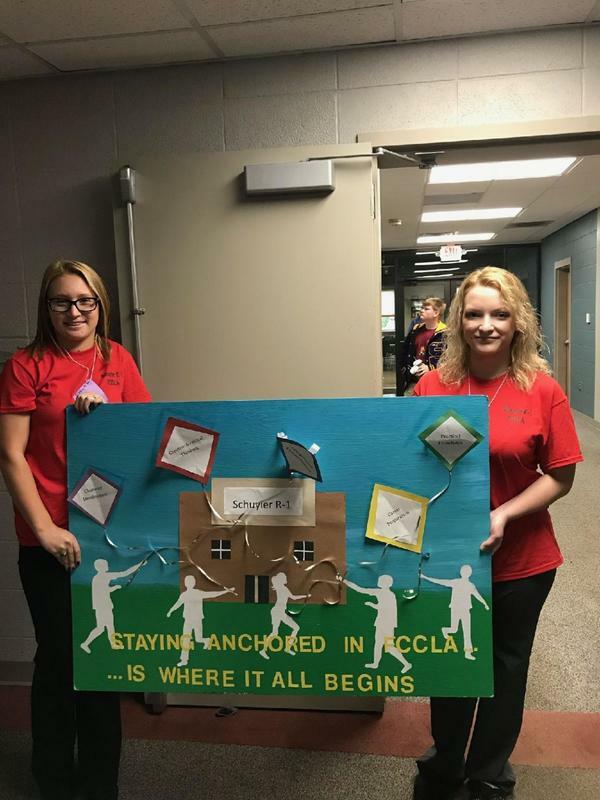 The Schuyler R-1 High School FCCLA organization went to Moberly Christian College on October 12th to compete at the Northeast Regional FCCLA meeting. The theme for the meeting this year was "Anchoring Ambitions." The northeast region consists of 15 counties in northeast Missouri. 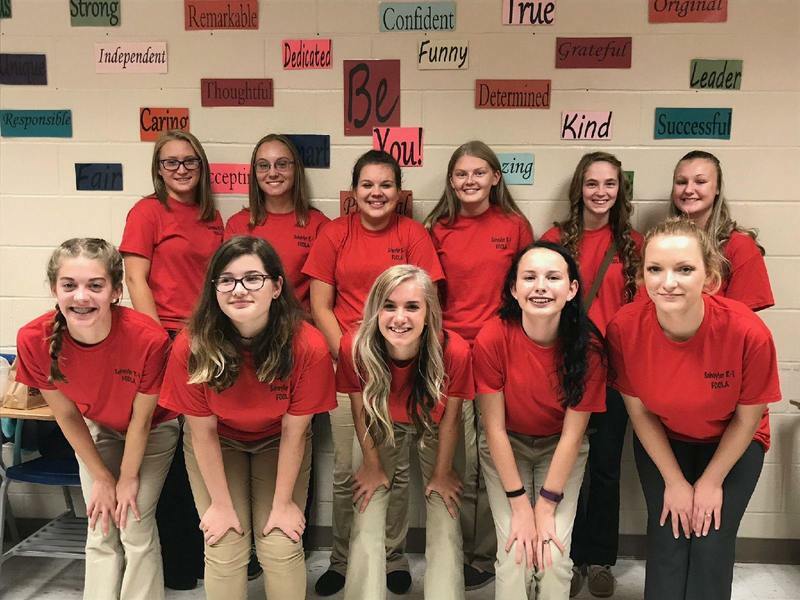 At the event, the Schuyler R-1 FCCLA placed first place in the scrapbook event and also competed in name tags and display board events. 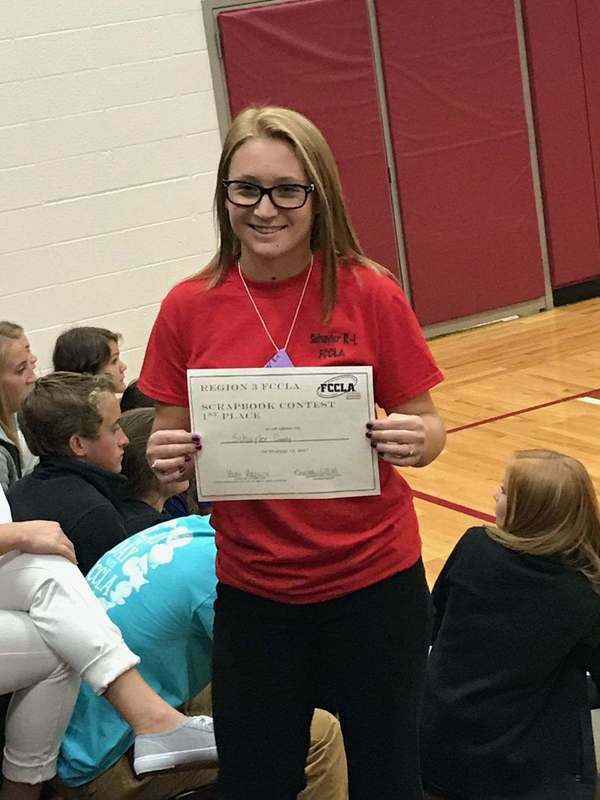 Congratulations to the Schuyler R-1 FCCLA for the first place honors and representing our school at the event!